Maintaining a habitual temperament throughout the Corus Bid, no boasting, no stunts but striking at the Right Moment. This supposed to be Ratan Tata’s moment of ultimate glory. The 69-year-old chairman of the Tata Group and his team had just pulled off an unprecedented victory of grand scale. Brazil-based CSN, with its consistent lead in the bidding war for what was once the famous British Steel, was widely expected to win European steel producer Corus. But Tata Steel pipped it at the post and at £6.2 billion ($12 billion), announced the biggest-ever cross-border deal by an Indian company. The new entity will be the fifth largest steel maker in the world with an annual output of about 23 million tonnes. 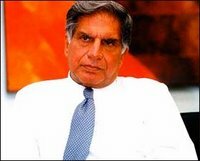 That is indeed a Magnum Opus by Ratan Tata.